Though speaker can make your ears delight, it can also irritate you by providing distortion. In fact, it is the best way to entertain your ears. So, advanced technology comes with affordable home speakers. The latest televisions have to surround sound system to provide an immense experience of your viewing experience. But, the speakers hum along with the surround sound system can detract you from the overall experience. Also, the adversity is quite common to the available speakers. As the installation of the speaker is easy, so the prevention of the speaker's hum is. Most of the speakers' buzz problem is easy to be fixed. Even, you can 100% remove the problem and enjoy fun music. 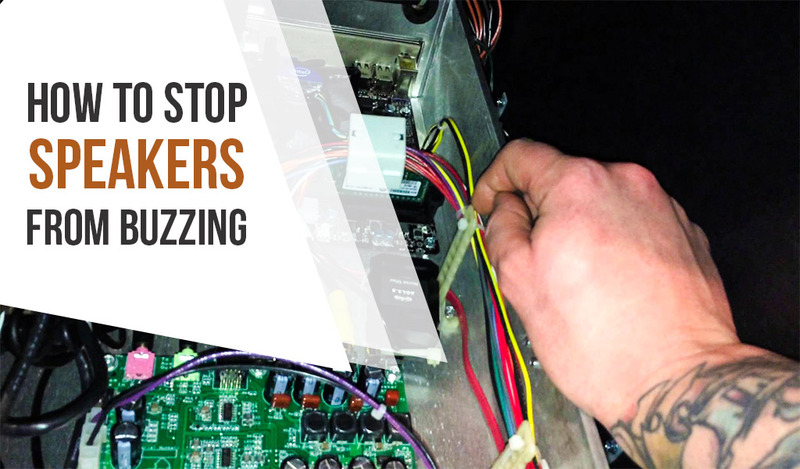 So, follow the following techniques to stop speakers from buzzing. It is the most common problem of creating buzz from the speakers. The absence or the outdated driver is responsible for making the buzzing sound. So, firstly check whether the driver is updated and latest. Also, check whether it is compatible with your settings or not. If it is outdated, update it from the manufacturing company of the operating system company as well as the driver manufacturing company. However, manual configuring may require some skills and time. Also, you can automatically update the driver by using third party software. Here, follow the method to update the driver manually. So, you need software such as Auslogics or Driver Easy or which can detect your system quickly and can find the drivers easily. The software come with free and pro version. However, this sort of software can't make a mistake to recognize the system of your computer. So, it can download and install the exact driver which your computer can be compatible. Here, don't try to download or install the wrong driver. Otherwise, it can lead your system wholly damaged. Now, download and install either Auslogics or Driver Easy. Then, run the software and click on “Scan Now” button. Here, the software will scan your entire computer and tries to find which the actual problem is. Also, it’ll detect the missing or outdated driver(s). Then click on the "Update Button" of the software shown on the screen. The button is next to the flagged audio device. It helps to download the correct and the latest version of the driver automatically. The update button comes with a page of “Update” and “Update All” button. Click on "Update All" button to download and install all the missing drivers automatically. After the installation of the drivers, restart your computer and wait. When everything is ready, check the speaker whether it has the problem, or the problem has been solved. Now click on the Hardware and Sound which you'll find in "All the Settings." Click on the “Sound” inside the Hardware and Sound. A popup pane will come. Now right click on the speaker device to view all the properties. When the properties are selected, click on the Enhancements Tab. You have to uncheck the box of the “Disable All Sound Effects” and apply OK.
Hopefully, the problem is solved. Now play the music and try the speaker to test it. Humming speaker is a nuisance activity to get tired as well as bored of the sound. But it is a minor issue and can be easily solved. So, at first, you have to check the volume by turning up and down frequently. The volume is configured for at least 75 percent of the maximum capacity of the speaker. So, adjust the volume with the speaker and check if the problem is resolved. Your audio cable can also be defected and produce buzzing to the sound. So, check the audio cable as well as the port if it works properly. If it doesn't work correctly, disconnect it from the speaker and connect through other speaker or sound system. Now, play the sound system and check your input cable and port. Also, you can use another audio cable and port to your speaker. If the problem is in the previous cable, the new one will resolve the issue. An unstable transformer can be the possible culprit to create the problem. So, it would be best if you had an in-depth look at the transformer. However, if your problem has no problem, you can continue with the transformer. But, it is a better way to change and bring a better transformer with the same output voltage. Using too many devices together is a common practice at home. However, the frequencies delivered by the devices can interfere with one another. The interruption of the frequencies creates bussing to the sound. So, switch off the devices as well as unplug from the power source. Then keep away all the devices from the speaker so that the magnet inside the speaker can't attract to the metal. After that, play the music and turn on the speaker. Hopefully, it'll work well. Though sweet sound makes our ears delight, the bad one can make the listeners irritated. It also lessens the listening power of the listeners. However, sound bussing can happen for many reasons. Don't worry. It is a simple problem which can be solved easily. So, try to find the problem first. Once the problem is found, the fixing won't require much time. So, follow the solutions mentioned earlier and enjoy music.